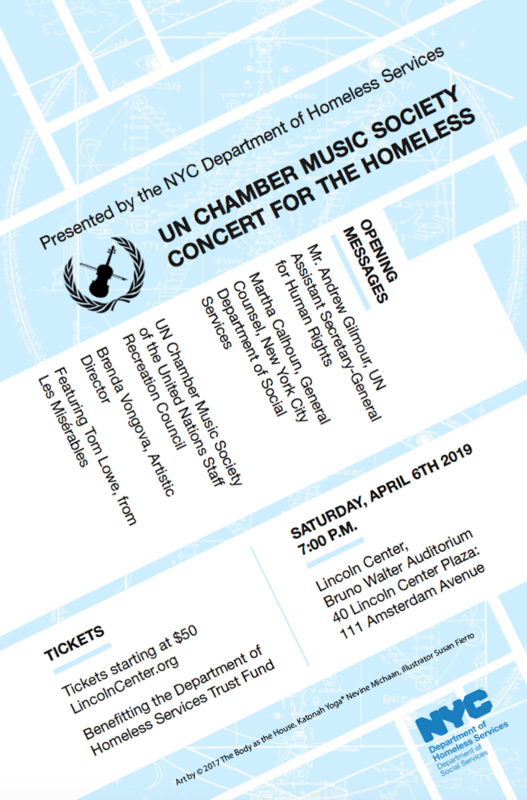 The New York City Department of Homeless Services (DHS) is proud to present the UN CHAMBER MUSIC SOCIETY CONCERT FOR THE HOMELESS. 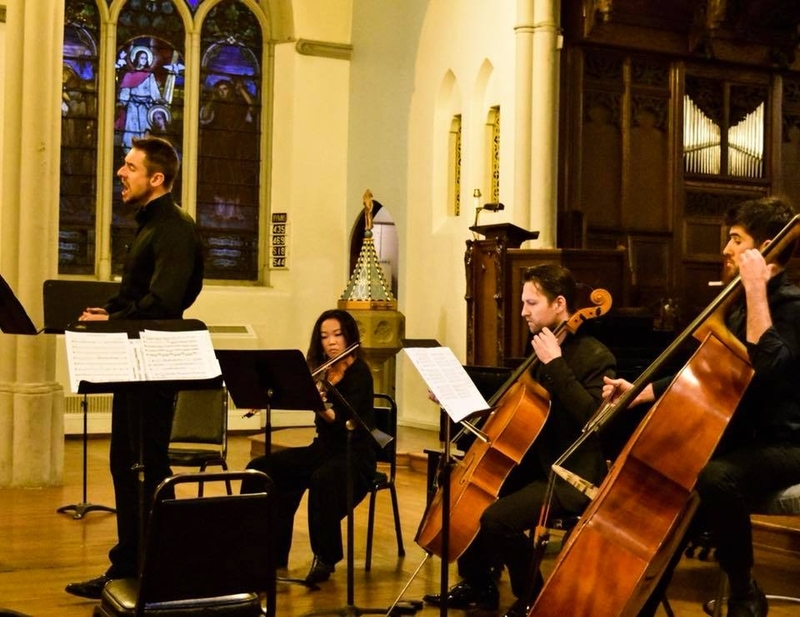 The event will be dedicated to people experiencing homelessness in the City of New York, and all funds will be directed to the DHS Homeless Trust Fund, whose mission is to prevent homelessness when possible; to provide temporary, emergency shelter when needed; and to help individuals and families transition rapidly into permanent housing. 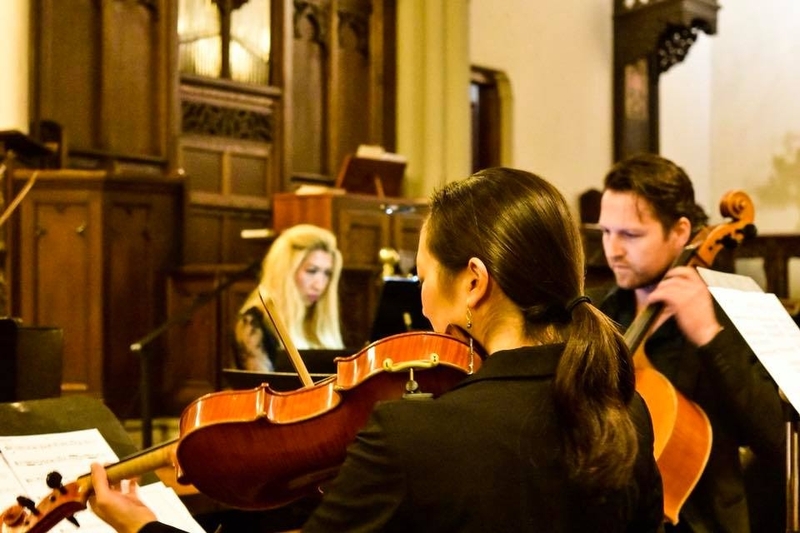 Sarah Combs, Sara Jayne Blackmore and Tom Lowe perform excerpts from Les Mis with The UN Chamber Music Society led by Brenda Vongova. Dedicated to the homeless in New York. 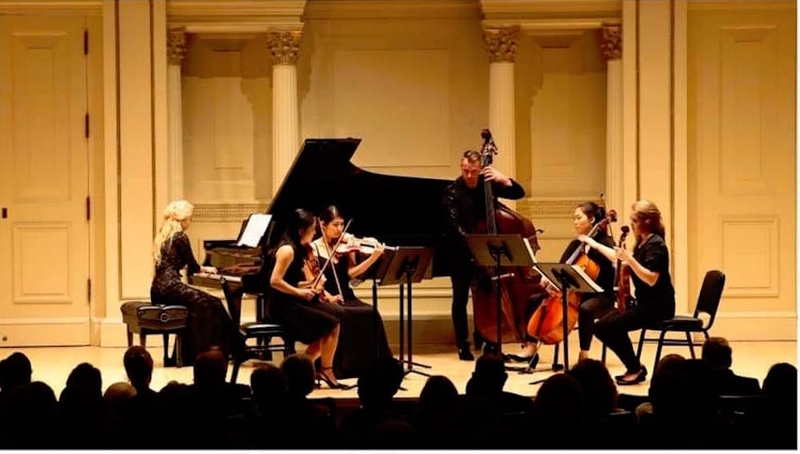 7pm at The Bruno Walter Auditorium, 40 Lincoln Center Plaza. Entrance on 65th Street and Amsterdam, New York City.